Which toon series is better? hallo guys, if u are persona fans, do u think persona 5 will come out as an anime? "This artikel Contains Spoilers Took Place After bleach manga Left Off "
Bleach: Can’t Fear Your Own World will be released on the 4th of August 2017, on Jump j Books. This new novel follows on on Bleach manga, it’s created door Durarara! !’s auteur Ryohgo Narita, which will be serialised every other Friday on their Jump+ digital platform. New visuals and the novels antagonists are also shown below! We’ve known that Bleach manga is in its final arc, it seems as though the time has come as Bleach 685 will be the final Bleach manga chapter! Weekly Shonen Jump 35 seems to have geplaatst the ending notice in Bleach 684 as a colour page and climax will be featured in Bleach 685. 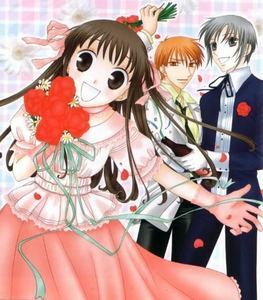 How many chapters are there in the Fruits Basket manga?